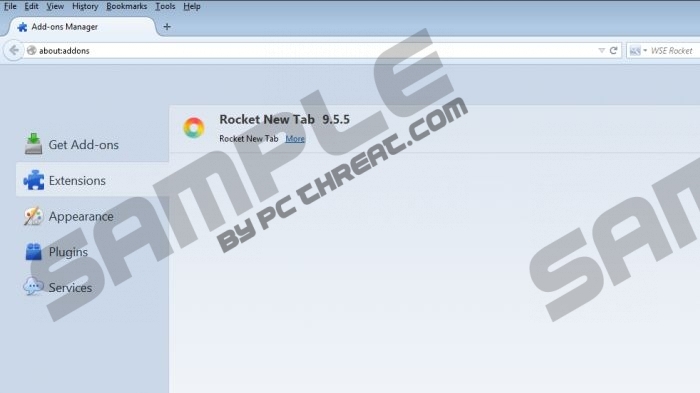 If you are concerned because the home page of your Internet Explorer and Mozilla Firefox is changed to rocket-find.com, the odds are that you have installed RocketBrowser, which is based on the same engine as Google Chrome, and some other application promoting this search engine. When downloaded from the official source (rocket-browser.com), RocketBrowser does not make any changes on other browsers, but if the settings are already changed, it means that the compute contains some unreliable programs. The search engine rocket-find.com is powered by yahoo.com, which is employed to provide you with search results. When accessed as a regular website, the search engine generates its search results, which are also accompanied by sponsored links, or ads. The search results provided by yahoo.com may also contain sponsored links, and you should keep in mind that search engines do not endorse their sponsors by displaying their advertisements. If your Internet browsers are hijacked by rocket-find.com and you want to use the Yahoo! search engine, remove the so-called browser hijacker and fix your browsers. You can access Yahoo! like any other websites, so why should you risk your privacy? You should also disregard the pop-ups that are displayed on the startup page. Rocket-find.com is not liable for the content of those advertisements, and you interact with them at your own risk. There are many unreliable software distributors that can promote their services through various search engines, and, if you want to prevent damage, including data loss and computer infections, you should remove rocket-find.com from your browsers as soon as you can. As regards the removal of rocket-find.com, we recommend that you implement SpyHunter because this real-time security tool can remove the so-called browser hijacker and shield the system from various computer threats. The recommended software program can fight off rogue anti-virus programs, browser hijackers, Trojan horses, and many other threats, so do not hesitate to shield the system from malware and spyware programs. Select Uninstall a program and remove WSE Rocket. Set a new search provider. Open the General tab and change the home page. Click OK.
Click the search engine icon next to the search box and set a new search provider. After uninstalling the unwanted extension and fixing your browsers, you should scan the computer to makes sure that no files associated with rocket-find.com are present on the computer. Quick & tested solution for Rocket-find.com removal. The uninstallation requires your browsers to be closed during the process. Please make sure your browsers are closed before continuing. As there are no broser-processes runnin, this is impossible to do and therefor the solution offered above does not solve anything. Seeing the same message as K.Ojoshiro. I think it's because we interrupted the install process midstream when we realized it was installing junk. It completed the install of a program called NetCrawl so we are able to get rid of that using uninstall. I get the same thing as Harold... "You do not have sufficient access to uninstall this program. Please contact program administrator." How about a little more help here. I got the same thing as #3 and #4 tonight. HELP!